Medium Red Reindeer Pompom Nose Human Jumper is a great way to bring the family, including your pooch, together during the festive times. There is a matching canine version to the human version so everyone can join in the fun! 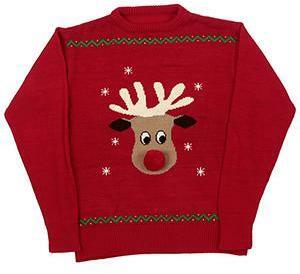 This Christmas jumper is made from bright, soft knitted acrylic and is easy to clean.